Feelin’ lucky? 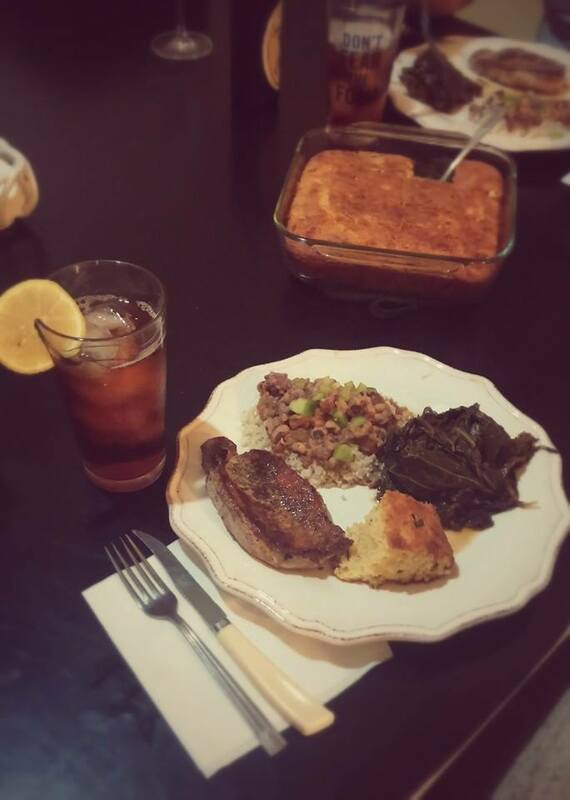 Pork chops, jalapeno corn bread, collard greens and Hoppin’ John make one fine meal to kick off the New Year. New Year’s Day is here, and every good Southerner knows what that means: It’s time to cook up a hearty meal that echoes the good vibes a brand new year can bring: luck, prosperity and cash flow.